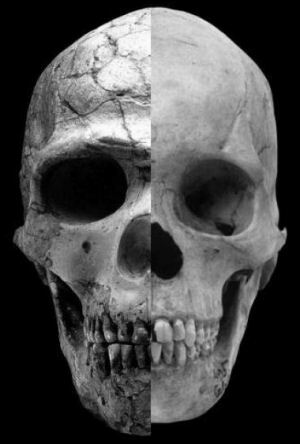 You are here: Home › News › Prehistory › Did feminization create modern humans? Duke University anthropologists have been measuring more than 1,400 ancient and modern skulls, leading them to theorize that modern humans emerged at the same time as a lowering of testosterone levels. 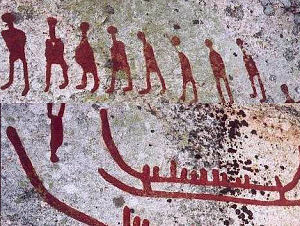 While modern humans appear in the fossil record from around 200,000 years ago, it was only about 50,000 years ago that the creation of art and advanced tools became widespread. 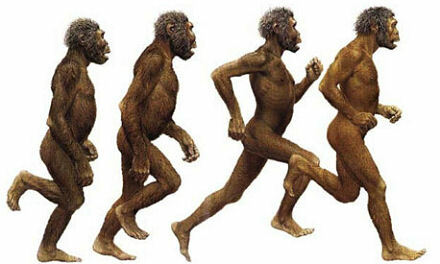 Why, after 150,000 years of existence, did humans suddenly leap forward in technology? Was this driven by a brain mutation, cooked foods, the advent of language, or population density? The new research concludes that the male hormone testosterone could have been responsible. Published in the journal Current Anthropology, the study involved analyzing skulls from the present day as well as specimens dating back more than 80,000 years. 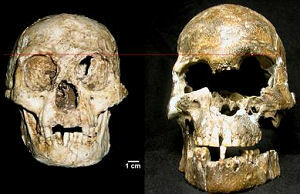 According to lead author Robert Cieri, human skulls changed in ways that indicate a lowering of testosterone levels. “The modern human behaviors of technological innovation, making art, and rapid cultural exchange probably came at the same time that we developed a more cooperative temperament,” he explained. Cieri argues that human society advanced when people started being nicer to each other, which entails having a little less testosterone in action. 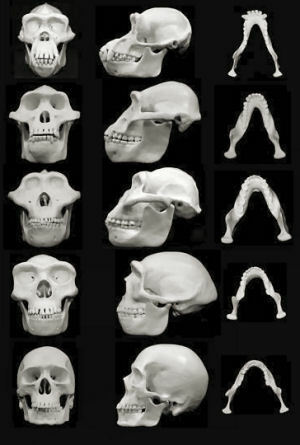 “Heavy brows were out, rounder heads were in, and those changes can be traced directly to testosterone levels acting on the skeleton,” according to fellow Duke anthropologist Steven Churchill. While the team is confident that less testosterone was behind these skeletal changes, they unable to say whether they came about from lower levels of testosterone in circulation, or fewer receptors for the hormone. 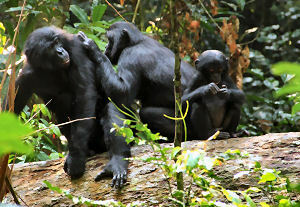 Co-researcher Brian Hare says that changes driven by testosterone are evident in our closest ape relatives – aggressive chimpanzees and mellow, free-loving bonobos. Those two apes develop differently, Hare said, and they respond to social stress differently. Chimpanzee males experience a strong rise in testosterone during puberty, but bonobos do not. When stressed, the bonobos don’t produce more testosterone, as chimps do, but they do produce more cortisol, the stress hormone. “Their social interactions are profoundly different and relevant to this finding; their faces are different, too. 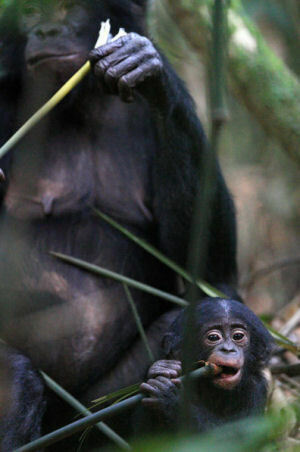 It’s very hard to find a brow-ridge in a bonobo,” Hare notes.